This is a five-day intensive course that is aimed at introducing participants to international commercial and investment arbitration. The course covers the foundations of arbitration, contractual issues, choice of law, appointment of arbitrators and their powers, conduct of proceedings and other procedural matters and the role of national courts. By the end of the course it is expected that participants will possess a solid understanding of arbitration law and practice. The course is aimed at legal practitioners with little, or no prior, knowledge of arbitration and alternative dispute settlement who wish to gain knowledge and skill that will allow them to pursue a career in this field. Moreover, it is also aimed at non-lawyers, such as engineers, who are considering working as technical experts or arbitrators. Finally, the course is suitable for law students interested in a specialisation in arbitration. Language Requirement: Teaching will be in English. Students will need to be fluent in written and verbal English and need to be either a native speaker of English or have experience of studying in English at university level; or have achieved an appropriate level in one of the following certificates: TOEFL, IELTS; CAE; CPE; or equivalent. 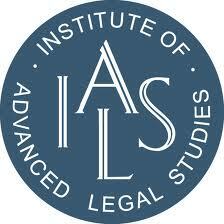 Certificate Awarded: Following completion of the course, for which attendance is compulsory, participants will receive a Certificate (of Attendance) of International Commercial and Investment Arbitration from the Institute of Advanced Legal Studies, of the University of London’s School of Advanced Study. REGISTRATION AND PAYMENTS: For on-line booking and payments please click here. Course Fees: £1,500. The price includes refreshments and course notes. The deadline for applications is: 3 May 2013. Applicants are advised to apply as early as possible because of increased competition for places and to avoid delays with travel visas where applicable.